Billabong Caps - Billabong Amped Trucker Cap - Black :: Men > Hats and Caps. 5-panel designAdjustable fit with snapback fasteningOne sizeMaterials: 55% Polyester. 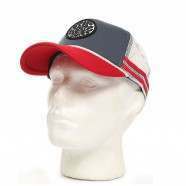 45% NylonMen's trucker cap Size: one size.